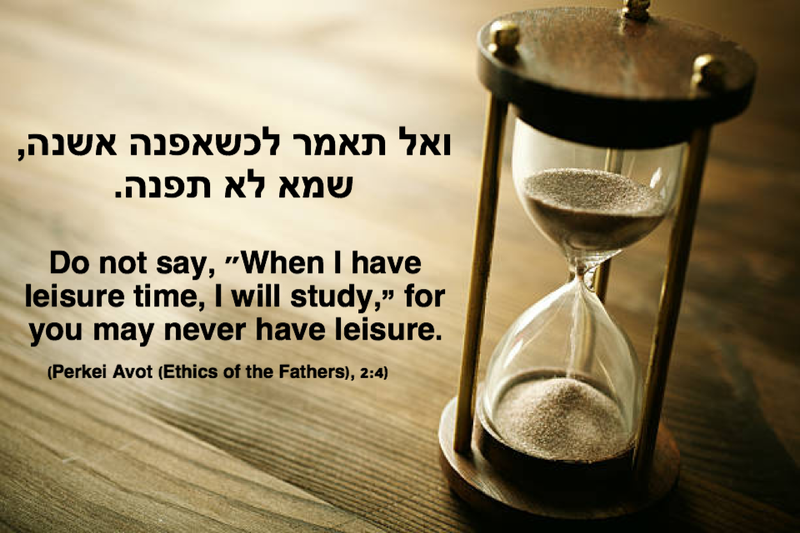 Now, I would not like to imply that blogging is on the same spiritual level as learning Torah. But, with respect to blogging, I have extrapolated the above quote to mean: If I wait for things to calm down to blog, I will never blog. As I shared in May, I am a big believer in the importance of rigorous self-care. As the primary caregiver for my family, I find blogging to be a fun and wonderfully creative outlet. Since blogging helps me cope, it’s time to post! 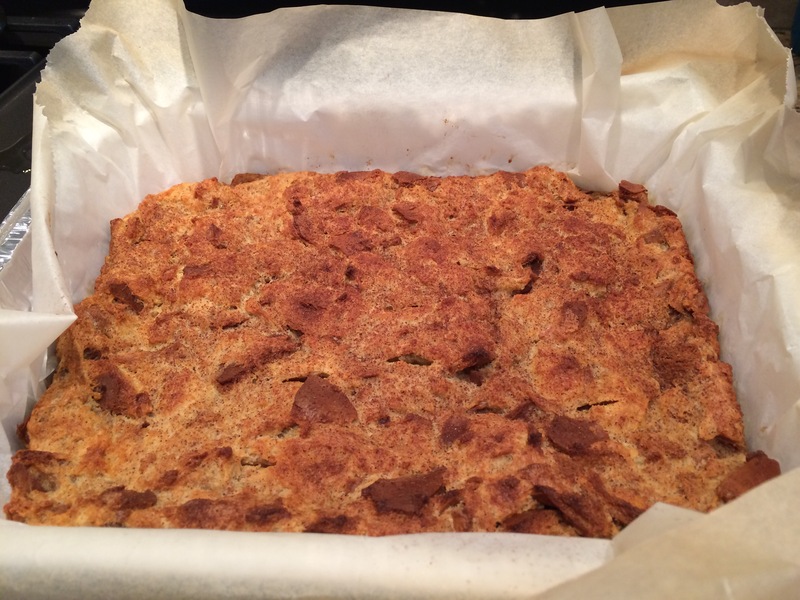 Challah kugel is a great way to use up leftover challah. Kugel in general is one of Yaffa’s favorite dishes, and this kugel in particular is especially yummy. 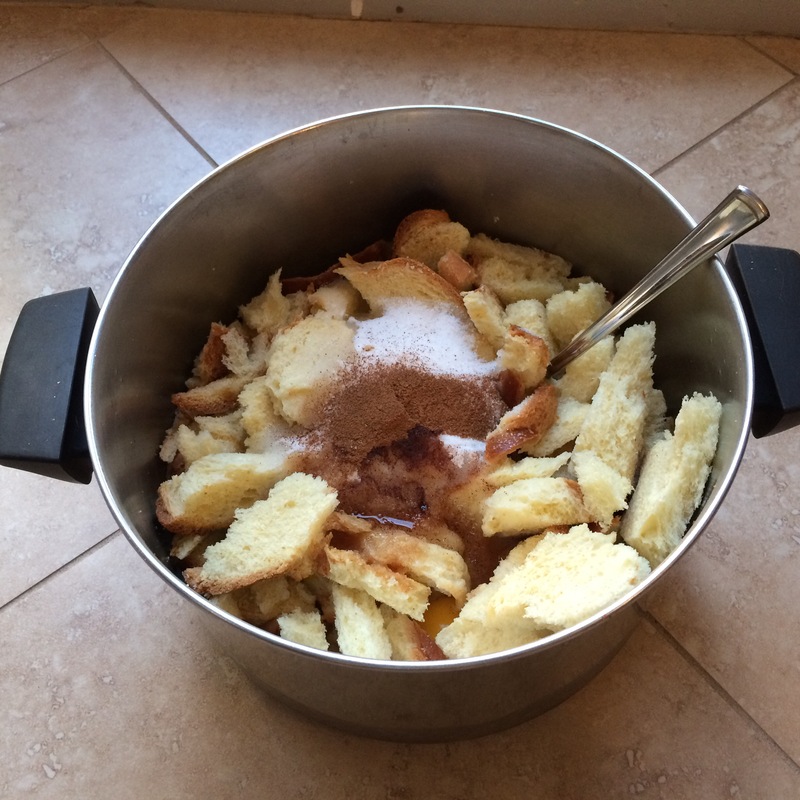 Crumble or break up challah into small pieces into bowl. Combine water (or juice) and milk and pour over challah. Mix until challah is soft, but not too mushy. Add remaining ingredients and mix well. Pour into pan and bake for approximately 1 hour or until done. 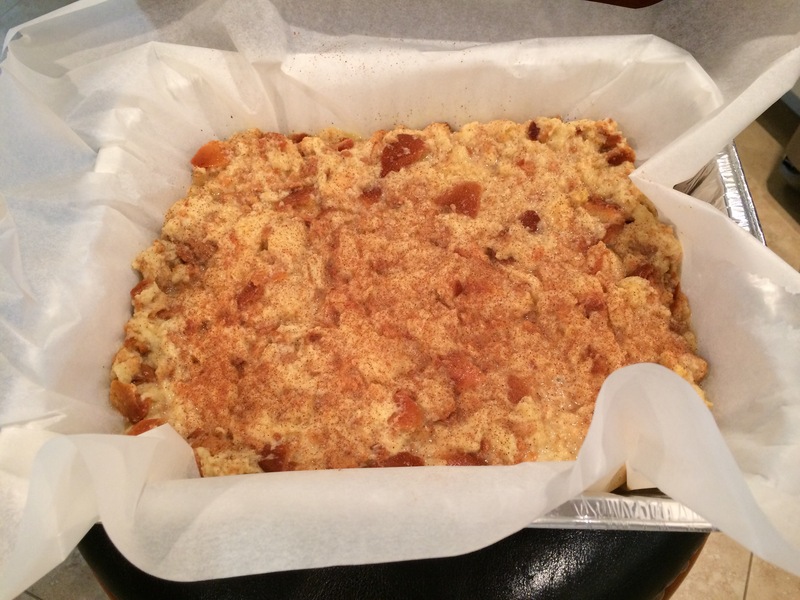 Variations: This recipe is really my basic formula for any sweet kugel. During Passover, I used crushed matzah instead of bread. To make it gluten free, I use rice, and blend with an immersion blender until smooth. All the ingredients mixed in the pot. In the pan, ready to bake. I consider this to be one of my signature kugel recipes. It is always a hit!